The 2017 State of the City will be held on Wednesday, August 16 at 11:30 a.m. at the Conference and Recreation Center. 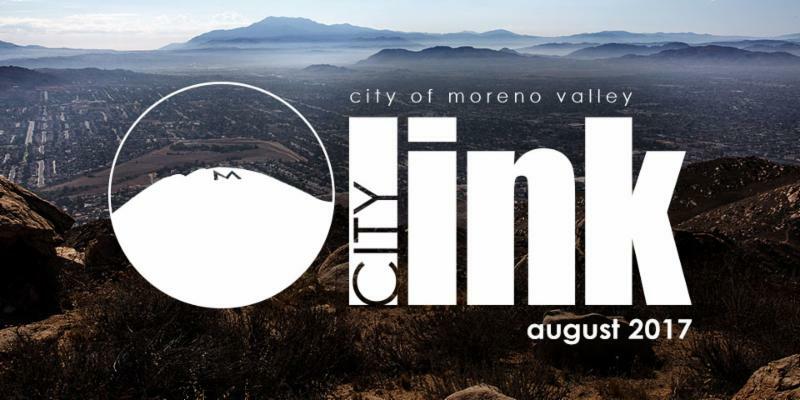 Join business leaders, local dignitaries, and residents to hear about all of the successes the City of Moreno Valley has achieved over the last year and the plans we have for an even brighter future. 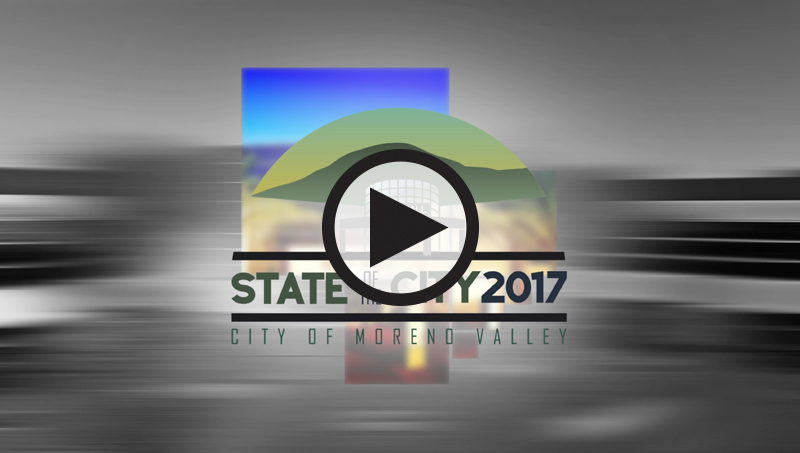 Moreno Valley's strategic plan, Momentum MoVal, is helping guide us through six strategic priorities: Economic Development, Public Safety, Library, Infrastructure, Beautification, Community Engagement and Quality of Life, and Youth Programs. Our City was named the third most fiscally strong City in the nation by the Fiscal Times. We passed a balanced budget for the sixth straight year. We are not only preserving the quality services our residents deserve and have come to expect, we are adding additional police officers and firefighters to our streets, opening a second library location, bolstering our award-winning Economic Development team to attract more jobs to our City, and increasing the number of code compliance officers by 33 percent to keep Moreno Valley beautiful. Reservations for this highly anticipated event can be made through the Moreno Valley Chamber of Commerce by calling 951-697-4404 or emailing office@movalchamber.org. Tickets for the State of the City Luncheon and Program are $30 per person before Aug. 2 and $40 per person after Aug. 2. The school year is right around the corner. The City of Moreno Valley encourages you to make every dollar count by supporting local businesses this back to school season. 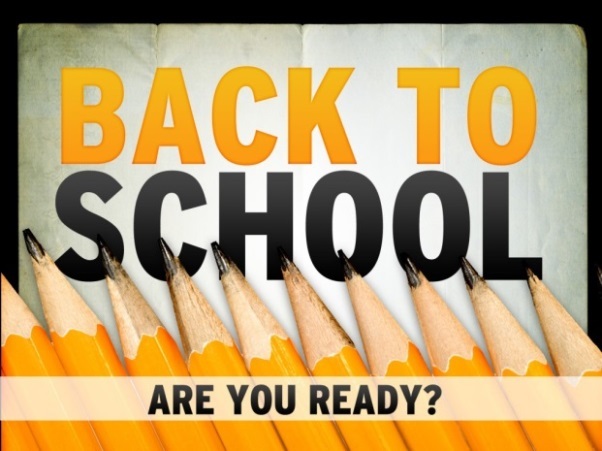 Get everything you and your children need to make this school year count from backpacks, electronics, school supplies and the latest fashions right here in Moreno Valley. With more than 40 different commercial shopping areas to choose from in Moreno Valley, get the best deals and a jump start on all the best for back to school. Feel good knowing that your shopping is supporting vital services to help keep Moreno Valley safe and beautiful, including police, fire, and parks and recreation. Watch the Shop MoVal video here. For more information about the Shop MoVal program or how to open a new business in Moreno Valley, please contact the Economic Development Department at EDTeam@moval.org or at 951.413.3460. 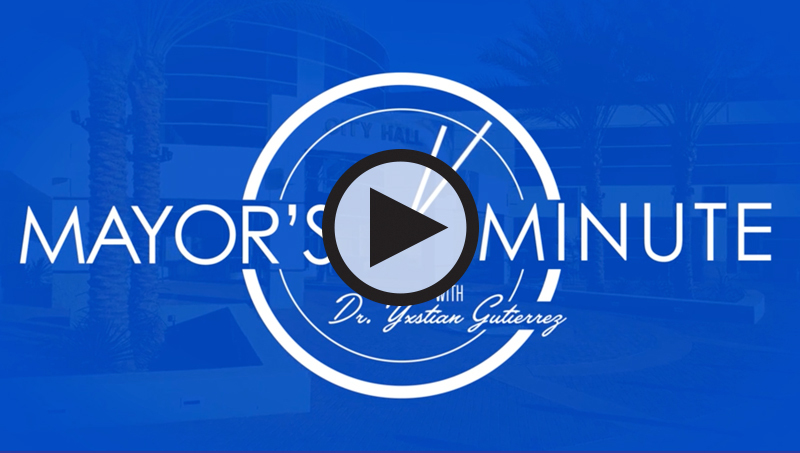 Mayor Yxstian Gutierrez will host a Telephone Town Hall beginning at 6 p.m. on Wednesday, September 6 to listen to your concerns and answer your questions about City issues. Register for the September 6 Telephone Town Hall here. The City will call registered participants at precisely 6 p.m. on Wednesday, September 6 to connect you to the Telephone Town Hall. Residents can listen to the call for the entire meeting or just a portion. Be part of the conversation and register now for the September 6 Telephone Town Hall. Registration will close at noon on September 6 and the call will begin at 6 p.m. There is a lot that can be done to plan for disasters, to limit risk, to increase the safety of students and teachers, and to ensure that schools recover quickly. The time to prepare is now. All California schools are required to have a disaster plan, to hold periodic “Drop, Cover, and Hold On” drills, evacuation drills, and host educational and training programs for students and staff. Parents should be aware of the disaster policies and procedures of their child’s school, and ensure the school has their updated emergency contact information. Make sure your child’s school emergency release card is current. Parents have an important role in assuring the safety of their children whether at school or at home. Prepare a “school emergency supplies” kit for each of your children. Let them help you put the kit together. What they have on hand when a disaster occurs could make a big difference in their safety and survival. Please visit the City's website for information regarding Safe Routes to School. For more information, please contact the Office of Emergency Management at 951.413.3800. Is your Property Protected Against Wildfire? Each spring, fire inspectors from the Moreno Valley Fire Prevention Bureau begin the annual Hazard Abatement Program in accordance with the City of Moreno Valley’s Municipal Code nuisance ordinance. 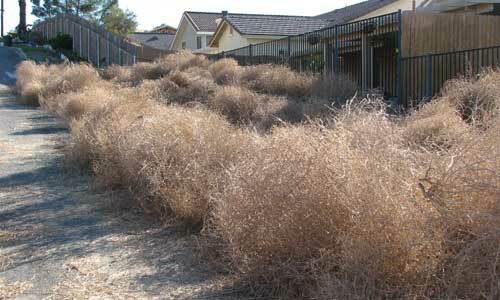 Reduce the risk of fire hazards on identified vacant parcels in Moreno Valley by abating overgrown weeds and vegetation. Identify vacant parcels that are in need of maintenance. Provide due process by giving property owners time to abate their property. Abate non-compliant properties after proper notification to property owners that abatement deadline has not been met. This program focuses on vacant parcels and requires the removal of junk, trash and debris to protect the community. Remove flammable materials including firewood stacks, portable propane tanks, and dry vegetation within 30 feet of your home’s foundation, garages and other buildings. Dry grass and shrubs are fuel for wildfire. Keep your lawn hydrated and maintained. If your grass is brown, trim it to reduce fire intensity. Dispose of lawn cuttings quickly to reduce fuel for fire. Fire can spread to tree tops. If you have tall trees on your property, prune low hanging branches 6 to 10 feet from the ground. Prune low hanging branches of smaller trees to no more than a third of the tree’s height. Remove tall grasses, vines and shrubs from under trees. Clear needles, leaves and other debris from the roof, gutters, eaves, porches and decks to prevent embers from igniting your home. To prevent ember penetration, replace or repair loose or missing roof shingles or tiles, and caulk any gaps or openings on roof edges. Cover exterior attic vents, and enclose under-eave and soffit vents with metal wire mesh no larger than 1/8 inch to prevent embers from entering the home. Remove stored items and clear out any dead vegeta­tion from under your deck or porch and within 10 feet of the house. Replace mulch with hardscaping, including rock, gravel or stone. If it can catch fire, don’t let it touch your house, deck or porch. For more information, please call the Fire Prevention Bureau at 951.413.3370. 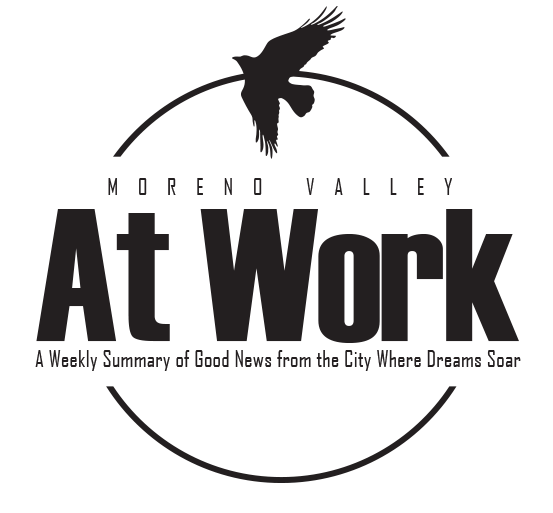 The City recently began publishing Moreno Valley at Work: A Weekly Summary of Good News from the City Where Dreams Soar to let residents know about all the great things going on at the City of Moreno Valley. Check out what’s new and up and coming in Moreno Valley! For more information about the City’s new businesses or to learn more about establishing a new business in Moreno Valley, please contact the Economic Development Department at EDTeam@moval.org or at 951.413.3460.